Whats so great about CliCs and Why do I need them? They are sturdy, dependable and always there when you need them. You can lean over and they won’t slip or fall like regular glasses plus it makes them easy to find when you keep them around your neck. 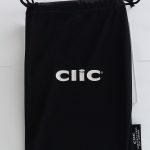 All CliC Eyewear has a unique one-piece headband that allows them to hang around your neck and arms on the side that adjust for a more custom fit. When you need to put them on they click together, in the front, using a patented neodymium magnet that has been tested to stay connected in speeds of up to 130 mph. How do I know what frame works for me? What magnification do I wear? CliC here for a printable Eye Chart? How do I adjust my glasses? We have a couple of videos that demonstrate how to adjust your eyewear for a custom fit. How do in install replacement lenses? Can you do different magnifications in each eye? Can I get a prescription put in? Yes, if your unable to find someone in your area to assist you, we recommend Dr. D Scott Shettle. We have worked with them for 10 years. “I still have my CliCs from when you first started. It’s the ONLY pair of glasses that that EVER lasted this long without either getting lost or sat on. Thanks!” – Lynn D.
“Husband and I have two pair each… they are FABULOUS! Have not ruined or lost a pair (anything before lasted 6 weeks maximum)” – Marcia N.
If you have any problems with your CliCs in your first 90 days of purchase, please contact us. How do I clean my CliCs? CliC Eyewear should NOT be submersed in water. The lenses can be cleaned with soap and water, dried, then polished with the micro-fiber cloth (included, at no charge, with every pair of CliCs you order from us). **Our CliC Medical Splash Protection Eyewear lenses, however, can be cleaned with soap and water or isopropyl alcohol to disinfect.